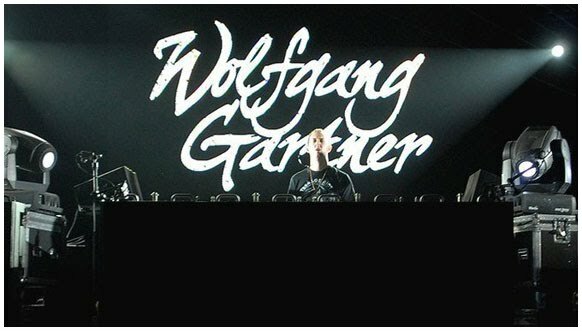 In terms of respect, Wolfgang Gartner is high up on the list next artists like Deadmau5, Justice, and Dada Life. Gartner has established himself for electro house hits such as Illmerica, Undertaker, Space Junk and 5th Symphony/Grey Agenda. Eight of his tracks hit the #1 spot on Beatport and he has been nominated for four International Dance Music Awards, including Best Progressive Track, Best Electro/Tech House Track, Best Breakthrough Artist and Best Breakthrough DJ. Simply put, Wolfgang Gartner is one of the fastest rising stars in electronic music and for a good reason. Wolfgang Gartner is easily one of my favorite electro artists. You can check out why by clicking "Read More" to listen to some of his tracks. Just have it a good listen, great songs. Fire Power remembers me of pokemon 8-bit music i like it. Also like The Undertaker and love the last one about wolfgang amadeus mozart :). I L O V E classical music. Neato. Gonna go find more of his stuff! and MAX POWER are really starting to get on my neighbours' nerves with all your kickin' recommendations and mixes and so forth and so on. W00p! Pump it, it's Saturday! Seat dancin' is obligatory with you efferz. I have heard that one with deadmau5 before. Very nice finds. Great to hear about der Wolfgang. I really liked the last one. Electro-classical is WTF enough to be right down my ally. I kind of like it! I'll keep an eye out for this rising star. I think this guy was on the game Midnight Club LA. Never heard of Wolfgang Gartner but will be checking him out momentarily! Cool, i always associate this kind of music with europe and this guy WOLGANG GARTNER you cant get more german than that. i'd never heard of him, good stuff. Never heard of him either! thanks for sharing! I like Deadmau5 so I'll probably like this too! Tasty as hell! Got up outta my seat and danced around like the dork that I am..
Leeching some of his stuff now!